Wow, I can hardly believe it’s July already! 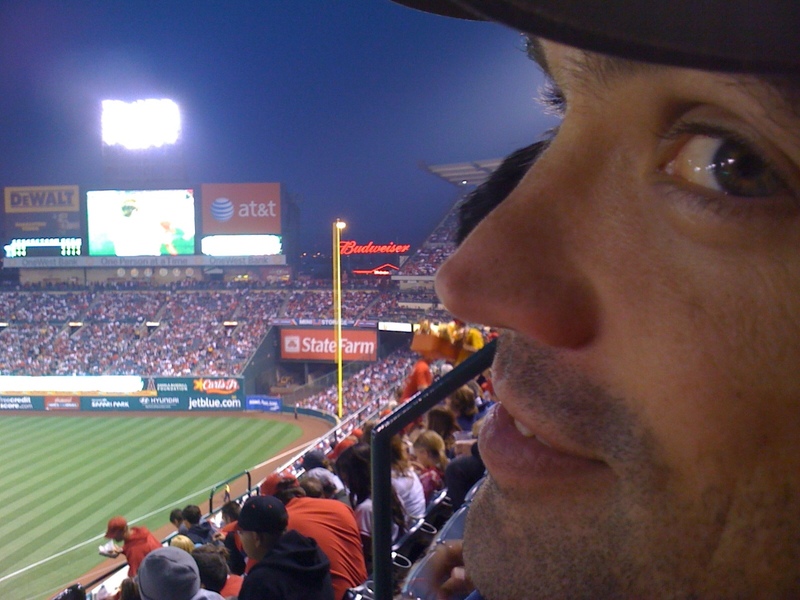 And nearly two years since I started this here blog. I’m very much looking forward to a relaxing 3-day weekend and possibly watching some fireworks on the 4th. It’s been a while since I last posted, but in my defense we’ve been crazy busy…lots of work, a bit of fun (church softball, our new community group, and family get-togethers), and some travel (an unsuccessful trip to Orlando for the launch of Space Shuttle Endeavour for both of us, a conference in Ohio for me, and another trip to Orlando for Robby in the near future for the final Shuttle launch). 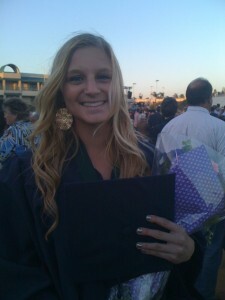 Claire's high school graduation. Can't believe my baby sister is so grown-up! Isn't she pretty? 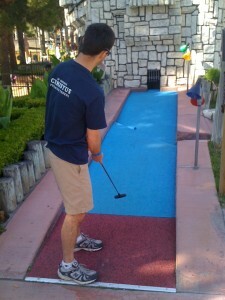 Mini golf. 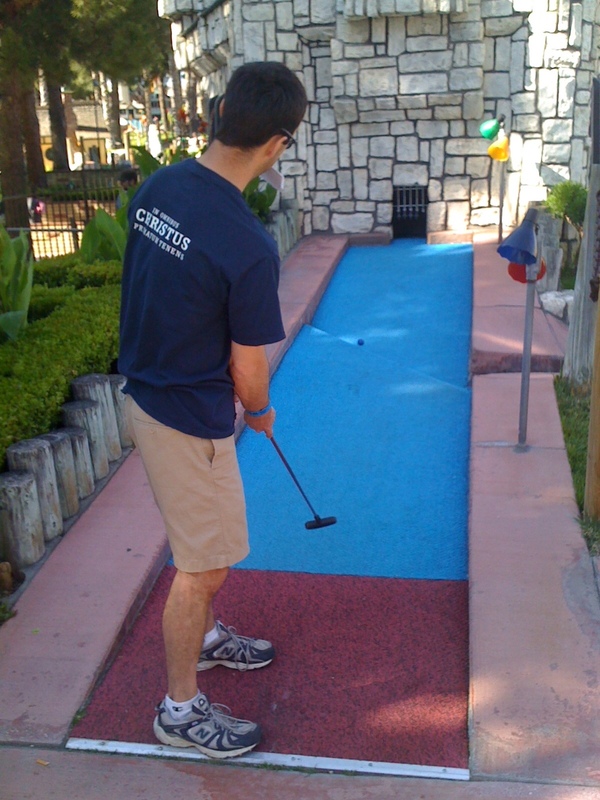 I totally would have beaten Robby, except for the demonic volcano trap on hole 12...I think I ended up with 9 strokes on that one! 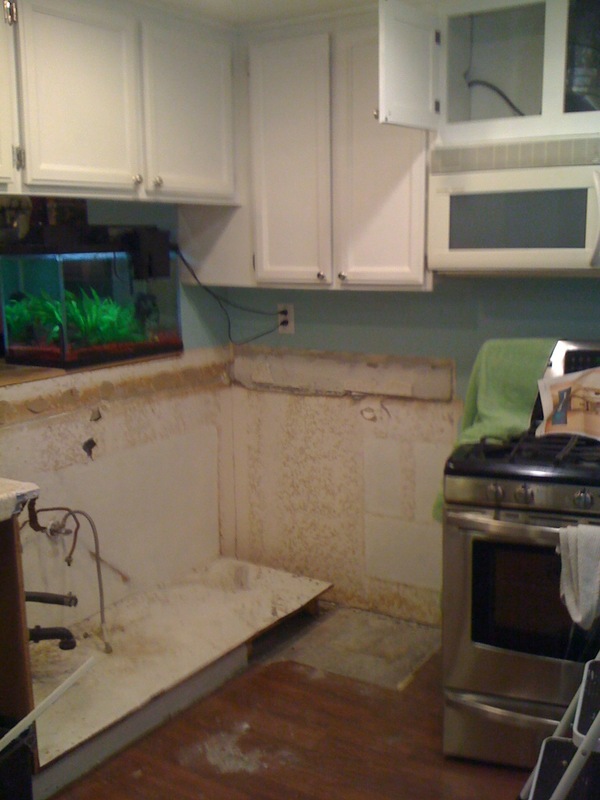 But the project that’s been taking up most of our free time is…a kitchen remodel! 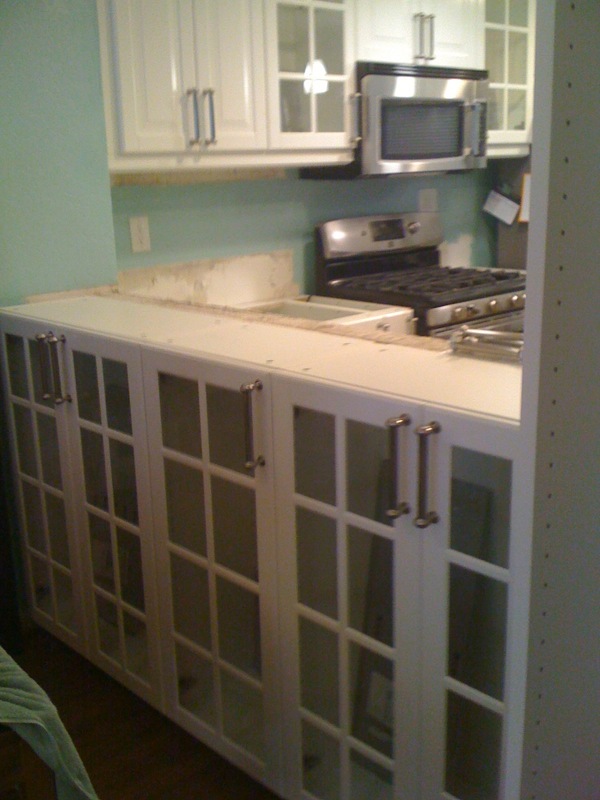 Yes, that’s right, just two years after we painstakingly painted our kitchen cabinets, we decided to rip them all out and get new ones. 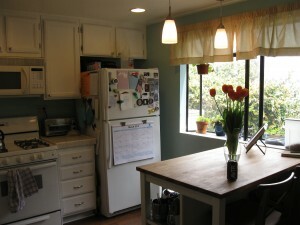 The kitchen as it looked when we got married. I can hardly remember it looking like this! Kitchen after we spent many many hours stripping, sanding, and painting the cabinets. Kitchen after we put down new laminate floors. It looked 100 times better than the original, except for the countertops! After re-doing the ceilings and adding pendant lights. This is pretty much how the kitchen has looked for the last year. 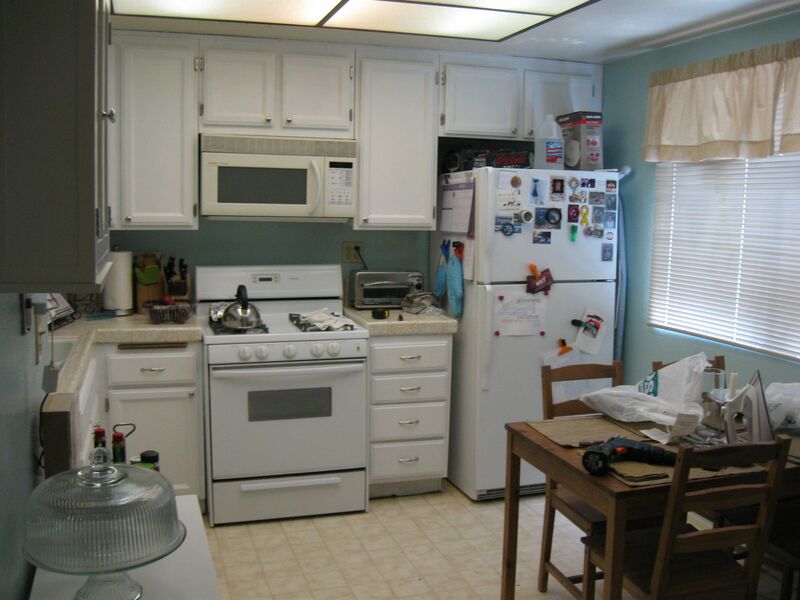 I had originally planned to keep the old cabinets and just replace the countertops, but I decided that future potential buyers might think new counters with 30-year-old cabinets looked weird. 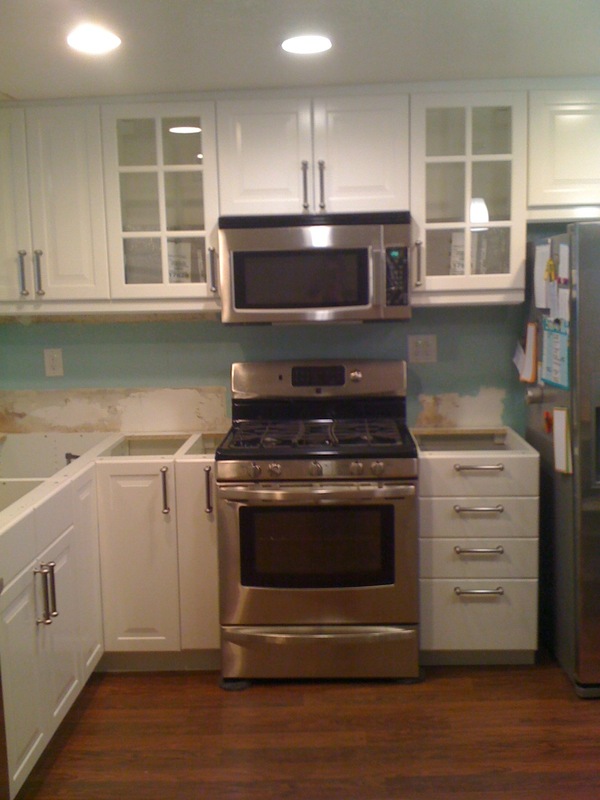 We also discovered later that the cabinets were so un-level (more than 2″ of height difference over 10 linear feet!) that we wouldn’t have been able to install stone counters without cracking them. So, we scoped out the options, saved our pennies, and finally decided on Ikea cabinets, based on the many good reviews I found. And then…we waited. First, 2 weeks for the cabinets to be delivered, and then another month before the installer had an opening. In the meantime, we put together each and every cabinet by ourselves, and gutted the old kitchen (Robby did the vast majority of the work, and I provided the moral support! :P). Kitchen cabinets after delivery. 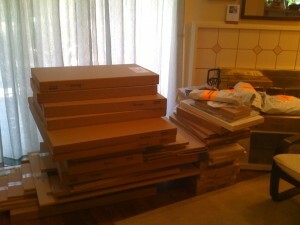 This is just one of several huge piles that took over our living room for over a month! Mid-way through the demolition. This is about the point when we asked, "What have we gotten ourselves into?!" We also discovered that that sink cabinet was almost completely rotted from water damage, yuck. Our cabinets were finally installed this week. We still have a lot of details to finish (like getting the countertops, stainless-steel sink, and faucet installed, adding a tile backsplash, moving some outlets and switches, and framing out a partial wall to enclose new pantry cabinets), but so far I am completely in love with the kitchen! New cabinets (two with glass doors), plus a new stainless-steel range and microwave. I can hardly believe this kitchen is actually mine! Isn't is beautiful? One of the biggest changes we made was adding cabinets under the bar counter. We never used the bar, and it always felt like wasted space. 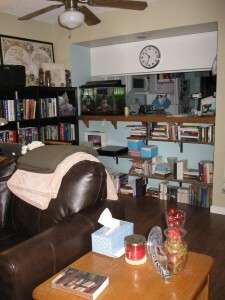 View of the old bar area, with our shelves (one of which later fell down...oops). So much space for storing serving platters, knickknacks, and books! Definitely a good decision, I think! I don’t know if you can tell from that picture, but we didn’t replace the upper cabinets over the sink. 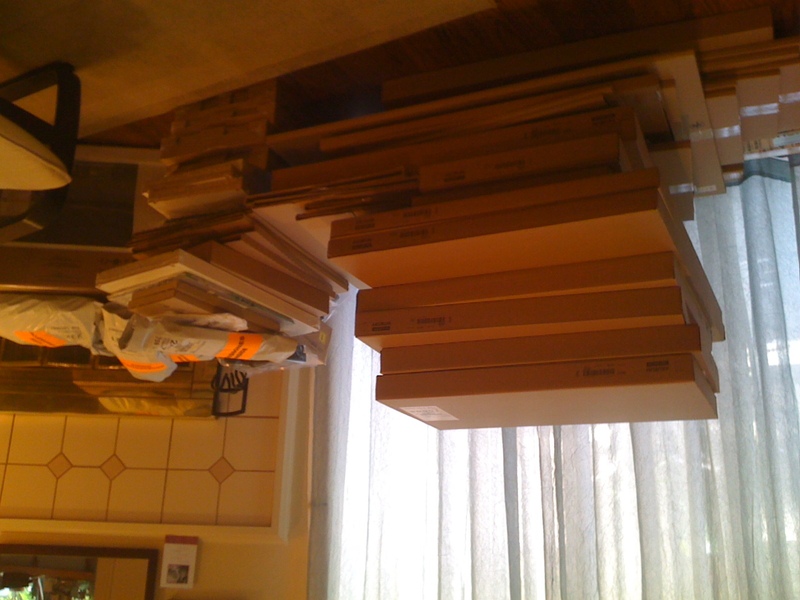 This was mostly because Ikea didn’t have the blind corner cabinet that we would have needed, which I was initially kind of sad about. But in the end, it turned out to be a good thing. First, we discovered that our new faucet would have been too tall to fit under the cabinets. Second, the kitchen and living room both look totally bright and open without the light-blocking cabinets. Also, I had worried that we were losing a lot of storage space, but the new cabinets make such good use of space that we actually have more storage than we know what to do with! Over the past few days, Robby has found me standing in the kitchen several times, just gazing at everything…and I’ve even had a few dreams about organizing and decorating my new space. :) I can’t wait until the counters, sink, faucet, backsplash, and pantry are done so I can share my glorious new kitchen with you! 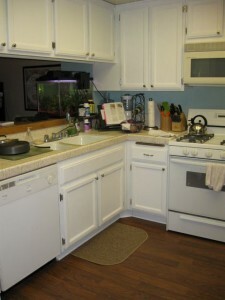 But until then, I’m just marveling over how great the new cabinets look. Wow!!! It looks amazing- nice job When it’s all complete, will you show a picture of how it looks when you walk in the front door? 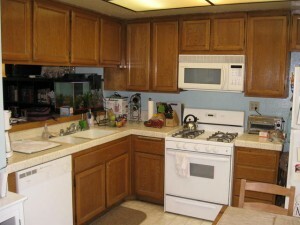 As I was reading your post, I was wondering (and secretly hoping) if you would remove the cabinets over the sink. I think it turned out great! I love it! Kim, you should have been a decorator! Can’t wait to see the finished project and I know you both will be so pleased to have a working kitchen again!!!! !